One of the biggest advantages of having two foot switches on any loop pedal is the dedicated stop switch. Stopping the recording/playing of a loop has to be as accurate as possible to ensure you play in time – having to double press like with the original Ditto is harder to execute so this is a great addition here with the X2. On the original Ditto, the mini USB2 input on the right hand side enabled software updates only – with the X2, its used to import or export audio files from your computer. You could for example, make the perfect loop with the X2, save then back up via the USB, tweak in your favourite audio software, then import it back into the X2 as a backing to solo over. The pedal uses two small toggle switches one each side of the main volume knob. The left switch selects between storage (holding in the up position clears the storage) and volume of imported loop, whereas the right selects between using the right foot pedal as as a dedicated stop or one of the two effect. The inclusion of half speed and reverse effects gives you another option for creating interesting loops and the unit can be used to store and back up your creations to computer via USB2. Despite the larger size of the X2, you still only 5 minutes of loop time, although you do get the higher 24 bit audio quality. The X2 can be seen as the next logical upgrade from the original Ditto and adds useful features including the secondary foot switch which can be selected to act as a dedicated stop switch. If you value quality of sound over storage space then the X2 could be the one for you. 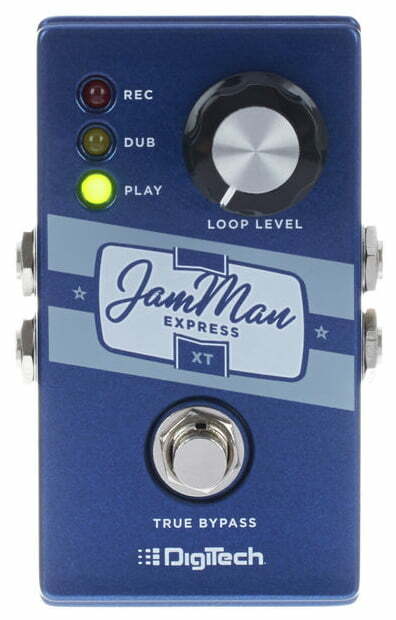 The JamMan Express XT is Digitech’s entry level looper, similar to Boss’ RC-1. Both are based on a simple, intuitive design although the Express XT uses a higher audio quality of 24 bit. The layout of the pedal is clean and easy to use with individual LED lights to indicate what function is currently in operation – although there’s no visual cue with an LED light as to when the start of a loop is (like on the RC-1). All loop functions are controlled through one foot switch – so no dedicated stop pedal, however you do have the option to use the ‘Jamsync’ function. 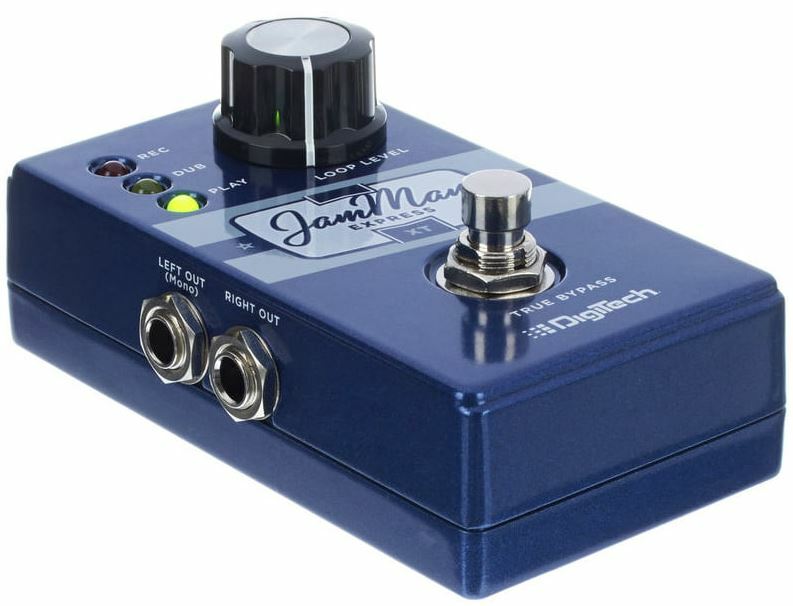 This enables you to connect two or more additional JamMan series pedals using a stereo mini jack cable. Use the last pedal in the chain as the ‘master’ adding additional XT’s before it to function as ‘slave’. The master and can control stop/playback functions for all additional pedals in the chain. Each musician then has the option to record their parts with their own dedicated unit to add their own loops to the mix. The Express XT includes undo/redo features, a basic feature with most loop pedals (including the 8 in this review!). Once you’ve recorded you first loop, you can add another part (overdub) by pressing the switch once while in playback mode. If you decide you don’t like your over dub you can clear it by pressing and holding for around two seconds. This will revert back to just the original loop (1st pass). You may then decide you want to restore it – this is done by pressing and holding once more (still in playback mode). Be cautious though when creating many overdubs, you can only undo the last recording as the one before it becomes merged with the original loop. 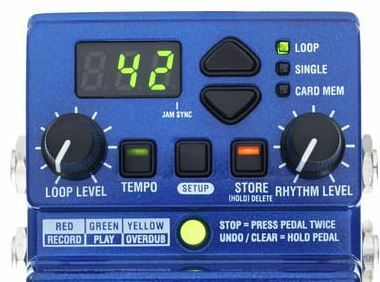 The JamMan also features the ‘Silent Clear’ function – this gives you the ability to clear a loop without having to play it. To do this, whilst in stop mode, press and hold the foot switch for two seconds. Once the loop has been cleared this way it can not be undone, so be sure that you want to delete it first! The ‘Jamsync’ option gives the XT a unique edge, giving you the option to build your own modular multi-loop rig or jam and perform creative loop music with other musicians. Perhaps not as user friendly for beginners as Boss’ RC-1 – as there’s no dedicated stop (unless you have more than one unit of course). You do get the higher bit rate though plus true bypass so could be an option if you need a simple great sounding looper. 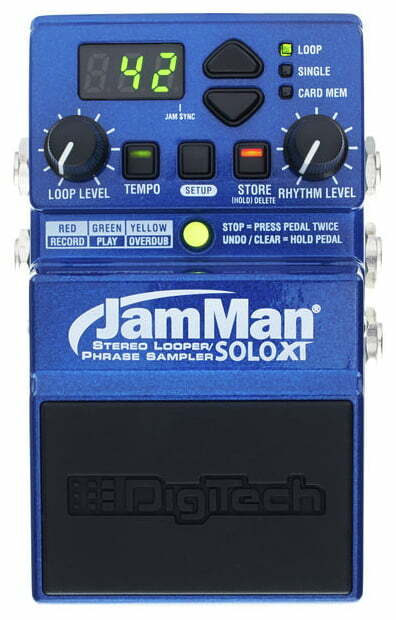 The JamMan solo XT crams a ton of features in to a single size foot pedal. It’s closest rival here is the RC-3 from Boss which it shares similar functions with. There are a few more useful features added with the Solo XT though, including the addition of a micro SDHC card which gives you further storage (up to 32 Gb) accessed via an additional back of 200 memory slots. The left side connections feature the micro SDHC slot for external memory storage, mini USB for back up to PC or Mac and stereo outputs. The internal storage can hold up to 35 minutes of audio in total using the 200 built in memory slots – 9 slots come pre-programmed with rhythm guide patterns. These are pretty basic and you’ll want to use your own backing tracks for performance but are helpful to keep time when jamming in practice sessions. The Solo XT can record and play back single loops up to 10 minutes long which should be long enough for most players. 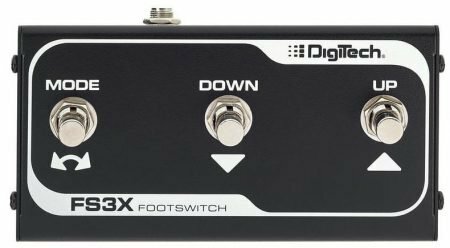 Although the Solo XT is a single pedal looper, there is the option to add the Digitech FS3X external foot switch, which gives you greater control over loop functions. This includes having a dedicated stop switch and scrolling through the memory banks plus setting tap tempo for your loops. Recorded loops and phrases can be backed up to computer via the mini USB connection. Digitech’s free loop manager software ‘Jam Manager’ enables you to organise and store loop lists creating your own loop library then import/export them as and when needed. 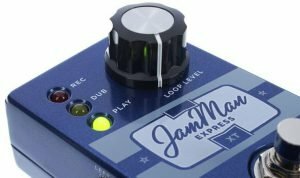 As with the JamMan Express, the Solo XT features the ‘Jamsync’ in’s and out’s on the rear panel to link multiple JamMan pedals together. There’s quite a lot packed in to the control panel compared to the Express, although everything is clearly labelled. Some may find the buttons a little fiddly but this is a small price to pay for its great functionality. Free time – the end of the loop is determined by the user pressing the foot switch. The length of the loop is then set which determines it’s tempo. Auto Quantize – tap the tempo to set (using either tempo button, foot switch or external foot switch) before you record a loop. Press the pedal to record your loop – when done press the pedal again to stop. Depending on weather you pressed stop slightly early or late, the auto quantize will adjust your recording to fit the tempo. This will be useful for players with little looping experience as it corrects the loop to be a perfect fit for you, enabling you to carry on recording your next idea on top. Out of all the loop pedals in this review, the Solo XT wins in terms of storage (due to the micro SDHC card slot) and I can see it appealing most to seasoned players, especially song writers and composers. The Jam Manager software complements this feature, allowing you to organise and archive your creations creating your own loop library in the process. Although some beginners may feel put off by its complexity, the pedal does feature some great additions to help make looping easier, such as auto record and auto quantize features. It would be worth while in my opinion to learn the functions of this pedal fully, as effective practice with it will definitely help to improve your playing. The Nano is comparable to the TC Electronic Ditto, offering simple but intuitive looping functions in a small footprint. Although not as small as the Ditto, the Nano does have some advantages with the ability to store 11 independent loops accessed by the memory slot control knob on the right. There’s 6 minutes of total loop recording time available so slightly more than the Ditto’s 5 mins. Once the first loop is recorded, it’s length is subtracted from the total loop recording time. The Nano will stop recording automatically once 6 minutes of recording is up. The red record LED light will turn off and the green play light will turn on, initiating playback straightaway. The Nano keeps things simple and features just mono in and out. There are no connection options for computer back up although recorded loops are saved in the 11 memory slots even when the unit is turned off. 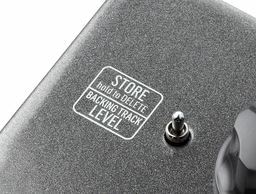 The user must delete manually by pressing and holding down the foot switch while in stop mode for two or more seconds, ensuring the correct memory slot for deletion is selected. A factory re-set can be achieved and clears all 11 memory slots at once. This is done by selecting memory slot 11, inserting a jack in to the pedals input whilst holding the pedal switch down. The three LED indicators will start to flash, at this point you can release the pedal, the lights will continue to flash for around 4 seconds until the reset is complete. Overdub by pressing the foot switch when in playback. Pressing and holding the pedal for 1 or more seconds activates undo/redo functions. As all looping functions are accessed through the one foot switch, anyone new to looping may find recording in time difficult to begin with. It takes some practice to be able to double press to stop exactly to create a perfect loop and there is no option for an additional foot switch to facilitate this. The foot switch itself though is a silent momentary switch, so no big clunking noises when you press it which does make it slightly more user friendly. 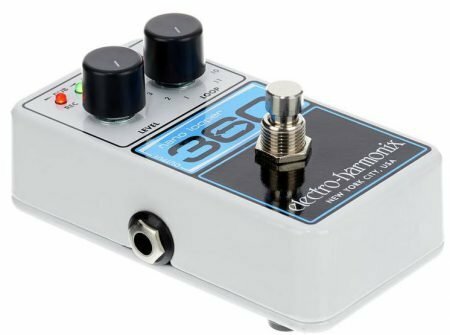 The compact 360 Nano is a great option if you just need a simple looping function on your pedal board and will appeal to beginners and pros alike. There is no battery option but you do get a power supply thrown in so you can start looping straight out of the box. Choosing the perfect loop pedal for your needs can be a tough task – there is no real ‘winner’ here as they all have something to offer, some will appeal more than others depending on what your intended use is. My aim here is to give you an outline of some of the most useful features for each unit and how they compare to each other, in the hope that it may help you come to a clearer decision. My own choice of loop pedal from this selection was the TC Electronic Ditto. I wanted a great sounding simple looper for practice ideas on the fly. I didn’t need huge storage options or performance features and in my opinion I made the right choice for what I wanted to do with it. My only issue with it is having just the one foot switch and although it’s intuitive to use it is harder to record a perfect loop. At the time of purchase, the Ditto X2 had yet to be released and if I could go back, I’d definitely be considering it. 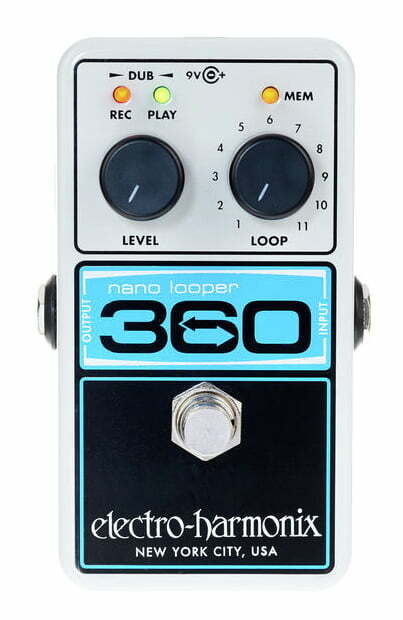 Ultimately your choice will be swayed by what you want to achieve with your new looper pedal. If you’re a beginner guitarist wanting to use a pedal as a practice buddy, you’ll find it easier if it has a dedicated stop foot switch. I hope you’ve enjoyed reading this post and found it useful – what features are important to you in a loop pedal? 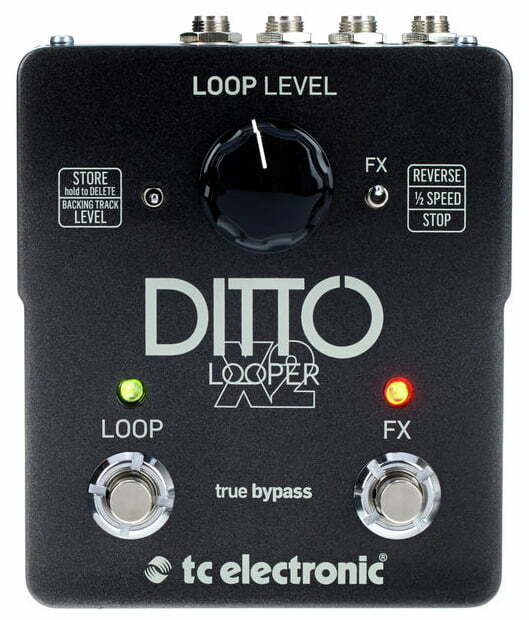 Perhaps you already have a looper but are looking to upgrade? Share your views below! I really appreciate all the information about loop stations for when I learn to play the guitar. I have been debating about trying to learn the guitar for a while now but it seems complicated. Do you like playing the guitar and if so does a looper system help your guitar playing skills? 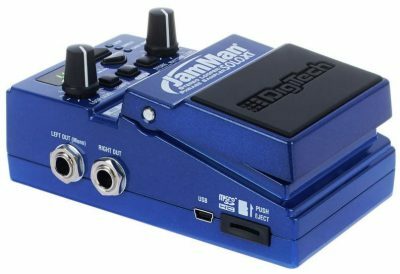 Which guitar looper do you recommend for a beginner? Hi Jon, thanks for the comment. Loop pedals can help in many ways when practicing, for beginners they can give you a chance to record a few simple chords which can then be looped for you to try scales and ideas over the top. You could play a click track or drum loop and play that back to work on your timing too. My best recommendation for a beginner would be the boss RC-1 as it features a large LED display which clearly shows the loop recorded as it counts down. You can also get an additional function pedal for it to act as the stop switch – very important as creating perfect loops with just one switch can be tricky to begin with. 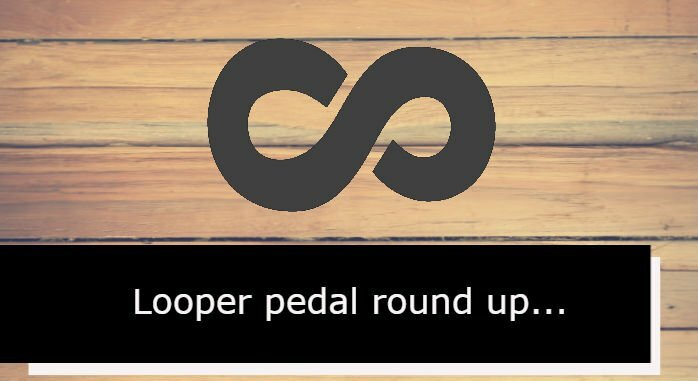 Hello Rob, what an excellent review of the most popular looper pedals currently being sold to guitarists online! The reason why I say this is because I can tell that you know your stuff because your passion shows in the way you share your knowledge of all the products mentioned above. I am not a guitarist, and my respect to those who can master and have a talent and ear to play them. The wailing sounds that guitarists make with their guitar- is this caused from a feature found in a pedal looper that includes sound effects or something like that? I mean, who hasn’t wondered what would it be like if they were like street performers, and how great it would feel to be appreciated if your talents? Thank you for your time, Rob. Hi Jose, i’m glad you enjoyed learning about loop pedals from this post. I think the wailing sounds you are referring too could be a way you play guitar when playing guitar solos – bending the string just after you play it raises its pitch and in a playing technique/effect that has been heard since early rock and roll, heightened by overdriven guitar amps! 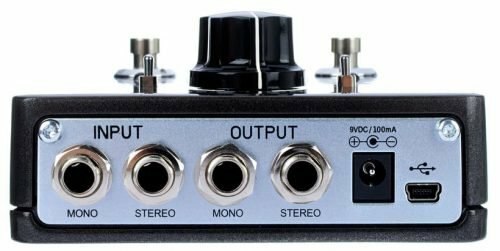 Loop pedals can be used as ‘effects’ too – the most effective way is to create a whole one-man-band by layering different sounds recorded into the pedal. Ed Sheeran has made a whole career out of his use of loop pedals at live shows.